ECBlend Flavors located in Medford Oregon products are made in the USA. Message to Resellers and Distributors: If you're serious about distributing E-Liquid and E-Cigarette products, now's the time to get on board with ECBlend, one of the fastest-growing manufacturers of E-Liquids in the U.S.! At ECBlend Wholesale, we make it easy for our resellers to do business. Introducing you to the Hohm Life 2. Phenomenal sustained amperage and voltage delivery under heavy load in an 18650 battery. Rated by Indonesia Chemistry at 3077mAh capacity, with a continuous discharge rate of 20.7 amps and a pulse/peak rating of 36.3A amps. The Prism S is the next generation tank and coil system. Designed to focus on pure flavor and throat hit, this Mouth-To-Lung (MTL) clearomizer provided an exceptional vaping experience. The Prism S coil will let you taste flavors like never before! Enjoy the optimized draw for just the right amount of airflow and precision vaporization. The Ultimate flavor experience, available now! The Innokin engineering teams have created the next generation of mesh coil technology to deliver a truly superior vape experience. The unique geometric design of the Plex 3D coil creates capillary action to draw E-Liquid across the coils more quickly and evenly. Improved wicking means better vaping and helps eliminate dry-hits. With 100W of maximum output and a replaceable 20700 battery, the Plexar is Innokin’s most powerful pen style vape to date! Optimized to vape with SCION Plex3D kanthal coils, the Plexar will bring your vape experience to the next level! Advanced Plex3D Coil technology with ‘micro-grooves’ uses less power for more puffs per charge and delivers maximum flavor and clouds. The iSub B is the first Innokin iSub tank powered by advanced Plex3D Coils with 3D mesh which use less power to deliver more flavor and vapor. The Plex3D coils have an advanced design with ‘Micro-Grooves’ greatly increasing the surface area to produce amazing flavor. Plex3D Coils rapidly heat up and cool-down faster than traditional coils, extending coil life and the organic cotton and wood pulp wicking improves E-liquid flow to the coil. The iSub-B is the first Innokin iSub tank powered by advanced the new Plex3D coils with 3D mesh use less power to deliver a more flavorable vape. Plex3D advanced coil design with ‘Micro-Grooves’ increases the surface area and produce amazing flavors. Plex3D Coils rapidly heat up and cool-down faster than traditional coils, extending the life of your coi. A new organic cotton and wood pulp wicking material improves E-liquid absorption without affecting the flavor. 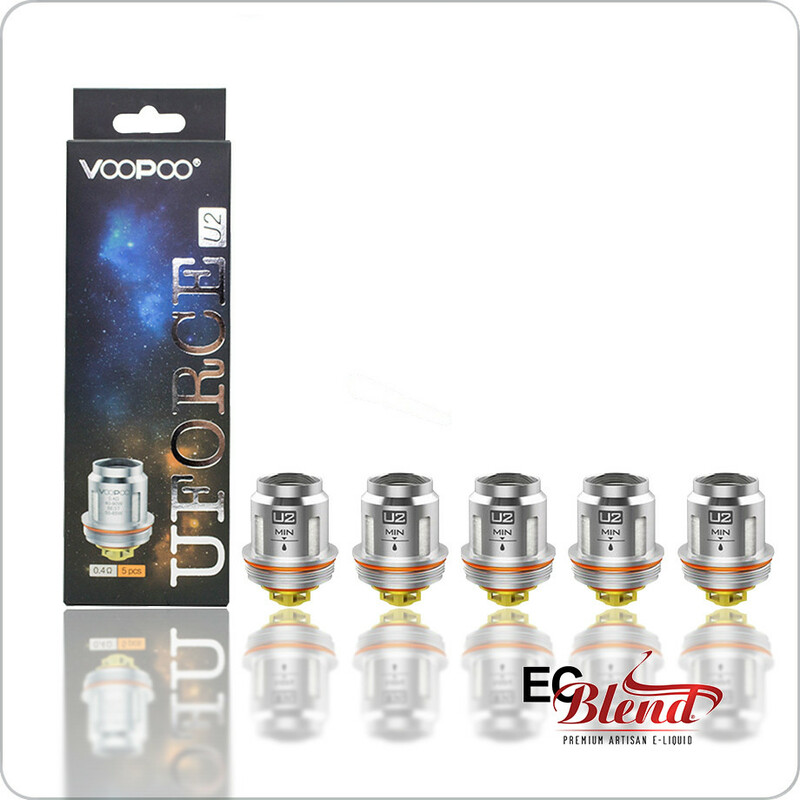 The VooPoo UForce replacement coils are vertically oriented with organic cotton wick design for the UForce sub ohm tank and the UForce T1 or T2 sub ohm tank. Zero fat, zero calories, zero carbs. May be used as a sugar replacement for any baked goods, drinks, cooking, coffee, flavored water, cookies, pies, pastries, desserts, smoothies, baked treats or any product you would normally add sweetener to. The Q2 replacement coils for the TFV8 Baby Beast offer the highest resistance out of all the coils options from Smoktech. The Q2's are designed to provide remarkably rich flavor at lower wattages. Featuring a dual vertical coil configuration designed for optimal flavor and vapor production at lower wattages. A collaboration between HellVape and Mike Vapes resulting in a unique dual post build deck, honeycomb style airflow pattern, and a locking top cap to maintain the airflow settings. The build deck features two posts with large terminals posts to accept larger single coil or dual coil builds. The deck has raised airflow channels to prevent leaking from the 6mm deep juice well. The Rebirth RDA also features a squonking bottom feed pin that allows it to be used as a dripper or for squonking. The Smoktech TFV8 Baby V2 sub ohm clearomizer begins a next generation to the popular TFV8 clearomizer series. A new coil design paired with the extraordinary features of Smoktech exquisite designs. The Baby V2 utilizes a new set of coil heads made with kanthal mesh wrapped in antibacterial medical grade cotton for superior wicking of the thickest E-Liquids. Three redesigned adjustable air flow channels at the base. The Smoktech TFV12 Prince Cobra is the upgraded version of the popular TFV12 Prince. Now available with Mesh and Strip replacement coils that produce denser clouds and purer flavor at the same wattage. Also, now available with a larger 7mL bulb glass tank. The HellVape Dead Rabbit RTA utilizes a 4.5mL bulb glass to expand the E-Liquid capacity for longer vape sessions. The build deck is similar to the previous Dead Rabbit RDA, keeping the raised build deck to allow for extending coil leads to be trimmed without measuring. Designed for single or dual coil builds, the Dead Rabbit RTA build deck has four posts with large terminals holes to easily accept coils of any size and thickness. The perfect choice for those who prefer using RDA's or RDTA's. Each package includes two pre-wrapped coils and a pad of Japanese organic cotton for wicking. Coils consist of two 28 gauge kanthal wires with 32 gauge NiChrome 80 wire wrapped around them. Clapton Coils provide increased surface area for heated to provide more vapor production versus traditional coils. The SKRR from Vaporesso is a beast of a clearomizer. Featuring a massive 8mL capacity with innovative flax fiber and cotton wicking material. The internal Quad Flow air distribution system provides exquisite flavor and warm vapor, creating a perfect balance between taste and cloud chasing. The QF Coil System uses a combination of organic cotton and flax fiber for long lasting coils with enhanced performance. Broken tank got you down? Replace your broken TFV8 Baby v2 with this 5mL capacity pyrex tank. It never hurts to have a backup either! Broken tank got you down? Replace your broken SKRR tank with this 8mL capacity pyrex tank. It never hurts to have a backup either! 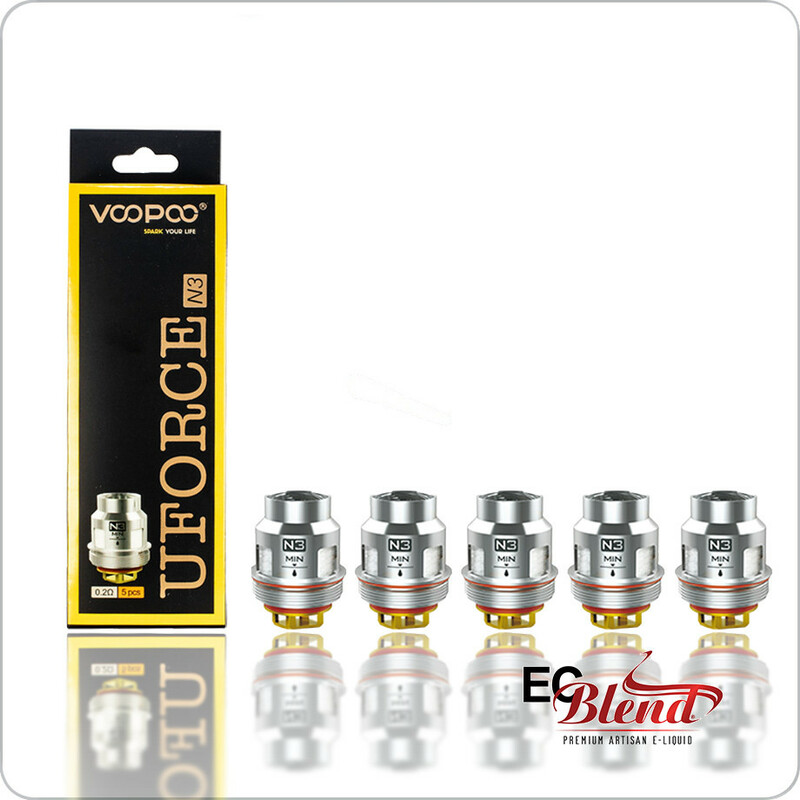 The VooPoo UForce replacement coils are dual parallel coils with organic cotton wick designed for the UForce sub ohm tank and the UForce T1 sub ohm tank. The VooPoo UForce replacement coils are vertically oriented with organic cotton wick design for the UForce sub ohm tank and the UForce T1 sub ohm tank. The Smoktech TFV8 Baby V2 replacement coil has been designed for high performance. The classic TFV8 series coil has been redesigned and highly tuned for the perfect vaping experience. The A3 Coils are designed for purer flavor and thicker clouds, rated at 0.15 ohm, triple mesh coils with a recommended wattage range of 80 to 90W. The Smoktech TFV8 Baby V2 replacement coil has been designed for high performance. The classic TFV8 series coil has been redesigned and highly tuned for the perfect vaping experience. The A2 coil head features dual mesh coils for larger clouds, rated at 0.20 ohm with recommended wattage range of 85 to 120W). The Smoktech TFV8 Baby V2 replacement coil has been designed for high performance. The classic TFV8 series coil has been redesigned and highly tuned for the perfect vaping experience. The A1 coil head features a large single mesh coil, rated at 0.17 ohm, single mesh with the capabilities of 90 to 140W (recommended at 110 to 130W). Sigelei Moonshot (MS) Replacement coils are crafted using organic cotton and stainless steel wire to maximize the vapor and flavor production of the Moonshot 120 Tank. Moonshot replacement coils can be used in standard power (wattage) or temperature control modes. 0.25 ohm MS Coil (Rated for 40 - 80W) . Sigelei Moonshot (MS) Replacement coils are crafted using organic cotton and stainless steel wire to maximize the vapor and flavor production of the Moonshot 120 Tank. Moonshot replacement coils can be used in standard power (wattage) or temperature control modes. 0.20 ohm MS-M Mesh Coil (Rated for 40 - 80W). Sigelei Moonshot (MS) Replacement coils are crafted using organic cotton and stainless steel wire to maximize the vapor and flavor production of the Moonshot 120 Tank. Moonshot replacement coils can be used in standard power (wattage) or temperature control modes. 0.20 ohm MS-H Coil (Rated for 60 - 120W). The Smoktech Mag Grip 100W device is a single battery version of the popular Mag 220W device. Powered by a single high-amp 20700, 21700, or 18650 battery (battery sold separately) providing 100W's to satisfy your vaping needs. A visually impressive design with a 0.66" OLED display located above the trigger style firing button. Press the magazine button to eject the battery case. The Sherlock 20700 will perform like it’s little siblings do, but with greater tolerance to amp loads and voltage support. Rated by Indonesia Chemistry at 3116mAh capacity, with a continuous discharge rate of 30.7 amps and a pulse/peak rating of 47.1A. Sherlock2 is most closely related to the popular Hohm Work 2 18650 cell, but has chemistry stimulated and melded at different Hz. Results are incredibly high amperage delivery, with an assurance of consistent coalition within the Li-ion family. Introducing you to the Hohm Work 2. Phenomenal sustained amperage and voltage delivery under heavy load in an 18650 battery. Rated by Indonesia Chemistry at 2576mAh capacity, with a continuous discharge rate of 24.7 amps and a pulse/peak rating of 41.3A amps. Hohm Work 2 is built with a Cobalt Oxide using proprietary melding of copper, aluminum, ethylene carbonate chemistry concentration, to achieve unprecedented capabilities. Broken tank got you down? Replace your broken standard Moonshot (Shikra) tank with this 5.5mL capacity pyrex tank. It never hurts to have a backup either! The Smoktech Stick Prince is a powerful combination of a 3000mAh battery and the TFV12 Prince tank. Newly redesigned with a special hexagonal power button and a carefully carved battery base. The TFV12 Prince tank has an 8mL capacity and of variety of replacement coils, which bring you massive vapor and flavor possibilities. Now available in Sundown (red to black) and Twilight (purple to blue). Pod The Innokin EQ Pod system is the world's FIRST pod system powered by the Mouth-to-Lung (MTL) Plexus EQ Coil, which provides increased flavor and extended coil life. The Wismec WS04 replacement coil is an excellent mouth-to-lung (MTL) core for a wide range of Wismec's sub-ohm clearomizers, such as the Amor NS Pro Tank, Amor NS Tank, Elabo Tank, and Elabo Mini Tank. Tip brand Suorin Air compatible cartridges offer a new contoured mouthpiece design for increased comfort, as well as improved wicking design for faster wicking times and overall better vaping experience. Joyetech Cubis Stainless Steel replacement coils are vertical coils wicked with organic cotton. Featuring a bottom feed juice inlet to prevent leaking. Perfect for use in standard wattage mode or temperature control mode. The Innokin Prism S Replacement Coils were designed to provide optimal flavor for mouth-to-lung (MTL) users of the Innokin Prism T20-S Clearomizer. The Endura T20-S kit comes with a 1500mAh internal Li-Po battery. It has integrated safety protection and features ‘Vape while charging’ technology. A tri-color LED power indicator clearly shows remaining power levels and charging status. Standing at 5.2 inches tall and an optimized 18 watt output. The Wismec SINUOUS SOLO 40W Starter Kit is the perfect starter kit for those looking to start vaping or upgrading. 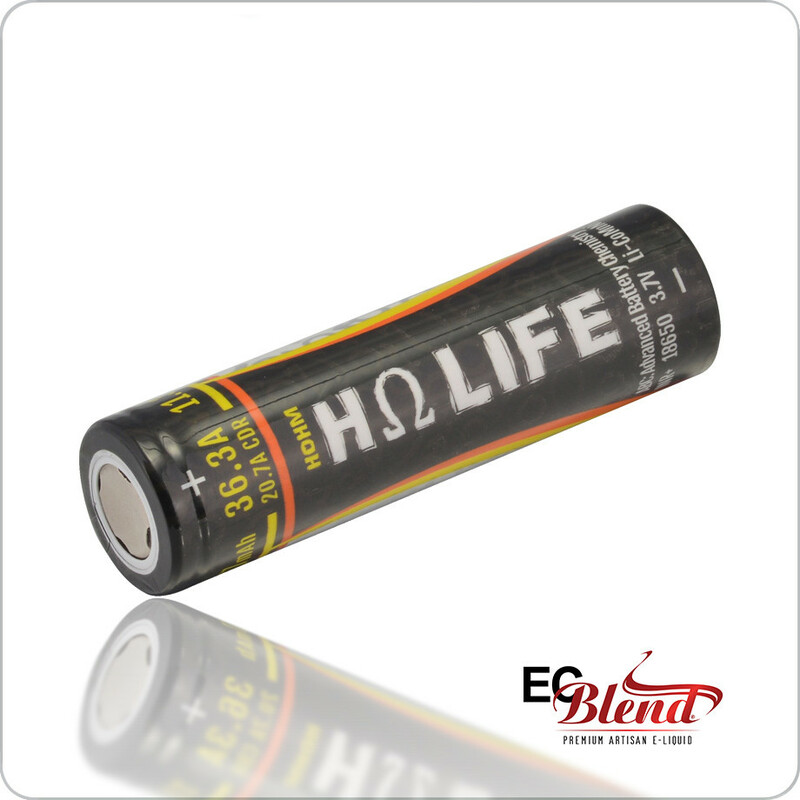 An internal 2300mAh rechargeable battery outputs up to 40W of power. It is powerful and compact. Included in each kit features the Amor NS Pro Sub-Ohm Tank, adopting the new 0.27ohm WS-M Mesh Coil for phenomenal flavor delivery along with the 1.3ohm WS-04 Coil for MTL usage. These coil boasts the most flavor and cloud production from the WS coil series. Made from Kanthal KA1 mesh to minimize hot spots and evenly distribute heat. New Mesh coil material provides larger surface area to deliver greater flavor and denser clouds from your favorite flavor. Broken tank got you down? Replace your broken standard GNOME King tank with this 7mL capacity pyrex tank. It never hurts to have a backup either! The AEGIS Legend Limited Edition is constructed with the New Magnesium Alloy material, which is currently the world’s strongest and lightest metal. The beast is now back and not only still maintains its water, shock and dust resistance as the standard version, but also lighter than ever. The Geek Vape AEGIS Mini is a miniaturized version of the AEGIS Legend, an integrated 2200mAh rechargeable battery and advanced AS chipset packed into a compact ergonomic chassis. Order Additional Menu Brochures to give to your friends and family. We often receive requests by email for more brochures and cards. Now you can add them to your order anytime. Shipping is FREE, of course! The Vaporesso QF Replacement Coils uses a blend of Flax Fiber and Organic Cotton materials for a long lasting flavor enhanced performance. Introduced with the SKRR Clearomizer and is also cross compatible with the Vaporesso GT Core Replacement Coils. Compatible with Suorin Drop, fill with your favorite flavor! Compatible with OVNS JC01 and devices that utilize JUUL style replacement PODS. Fill with your favorite flavor! Each Medusa Coil is handmade using only the highest quality kanthal wire and Japanese organic cotton to provide the best vaping experience. 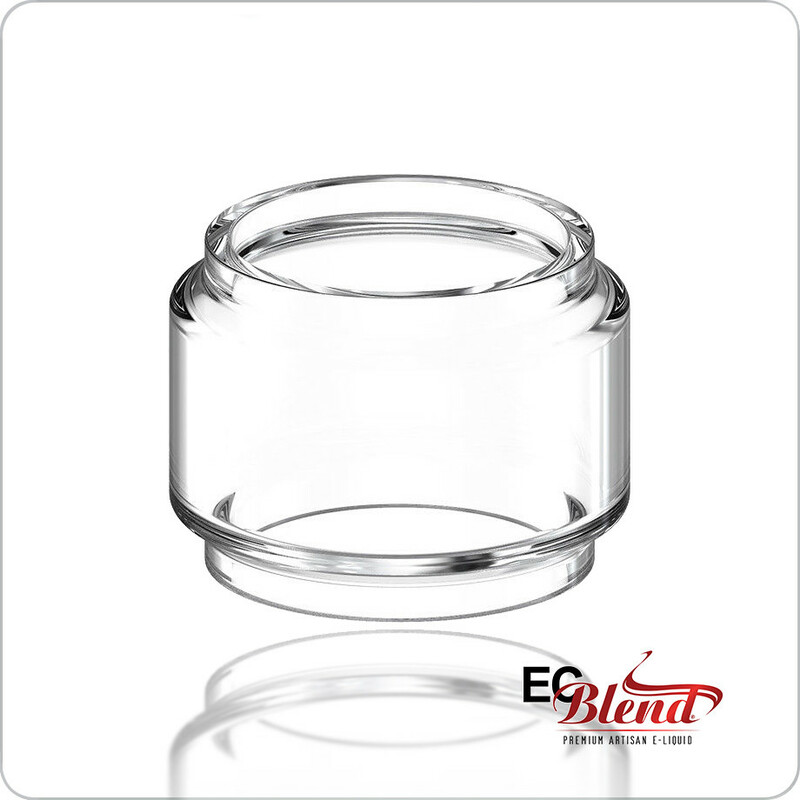 The wicking is packed differently than standard replacement coils allowing for more E-Liquid to make contact with the coil while reducing the dreaded dry burnt effect. The Prism T20 clearomizer is designed for mouth-to-lung style vaping with fixed airflow that is pre-tuned to provide the best flavor at lower wattages. Innokin's push-fit "no-spill" coil replacement technology. Replacement coil simply slides out from the base. Effective immediately, White GRAPE ala Zoe and Toberry Acco products have been discontinued. These products, although on the market as of 8/10/2016 were not on our registered product list with the FDA. We will not pursue a change with the FDA as these products had very low popularity. We sincerely apologize for any inconvenience, and hope those who favored those products will enjoy another similar product. If we can be of assistance, please let us know. ECBlend is putting together a team of web-based marketers to help us grow our online presence. Do you have what it takes to make 20% commission on the best E-Liquid in the business? Of course, you do. Give your clearomizer some serious style with a new 510 floral drip tip! These striking drip tips come in various colors and designs. Each of having their own unique design. Made from strong and durable resin. Beautiful and sparkly, colors varieties include Rainbow, Purples, Blues, Reds, and Peach. Give your sub ohm tank some serious style with a new 810 goon style drip tip! These striking drip tips come in various colors and designs. Each of them having their own unique color swirl design. Made from strong and durable resin with a wider 18.5mm outer diameter for more comfort. The SmokTech MAX mesh replacement coils are a revolutionary new advancement in the vaping industry. Mesh coils provide a larger surface area that greatly increases flavor and vapor production. The SmokTech triple mesh replacement coils are a revolutionary new advancement in the vaping industry. 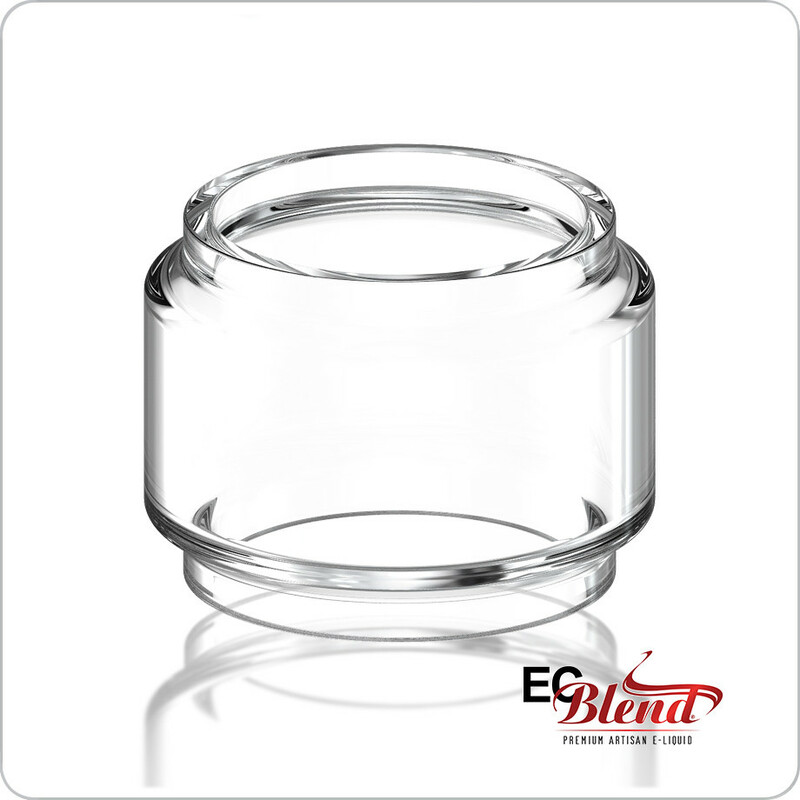 Mesh coils provide a larger surface area that greatly increases flavor and vapor production. Three mesh chambers provide dense flavorful vapor. The SmokTech dual mesh replacement coils are a revolutionary new advancement in the vaping industry. Mesh coils provide a larger surface area that greatly increases flavor and vapor production. Two mesh chambers provide dense flavorful vapor. 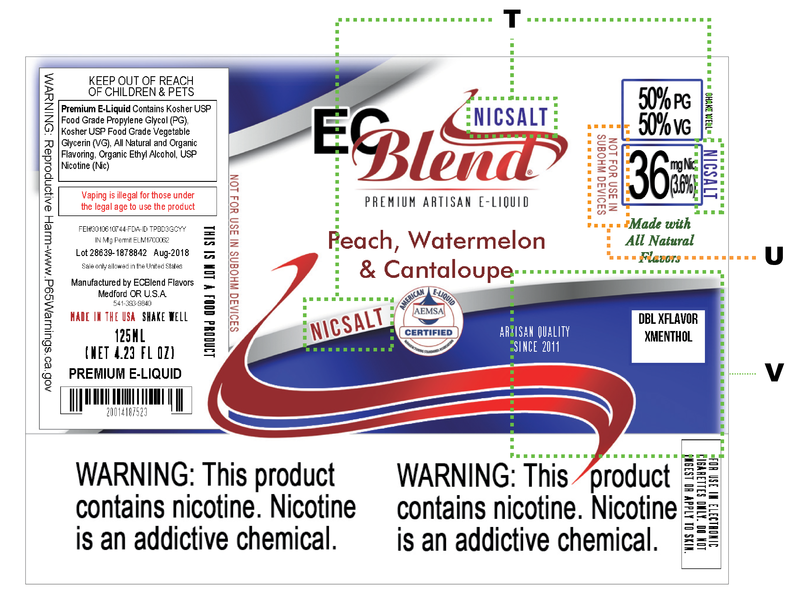 ECBlend e-liquid product labels are FDA compliant as required by law for vaping products. All ECBlend labels have gone through a full redesign to meet compliance. Each Medusa Coil is handmade using only the highest quality kanthal wire and Japanese organic cotton to provide the best vaping experience. The SmokTech mesh replacement coils are a revolutionary new advancement in the vaping industry. Mesh coils provide a larger surface area that greatly increases flavor and vapor production. Broken Pyrex got you down? 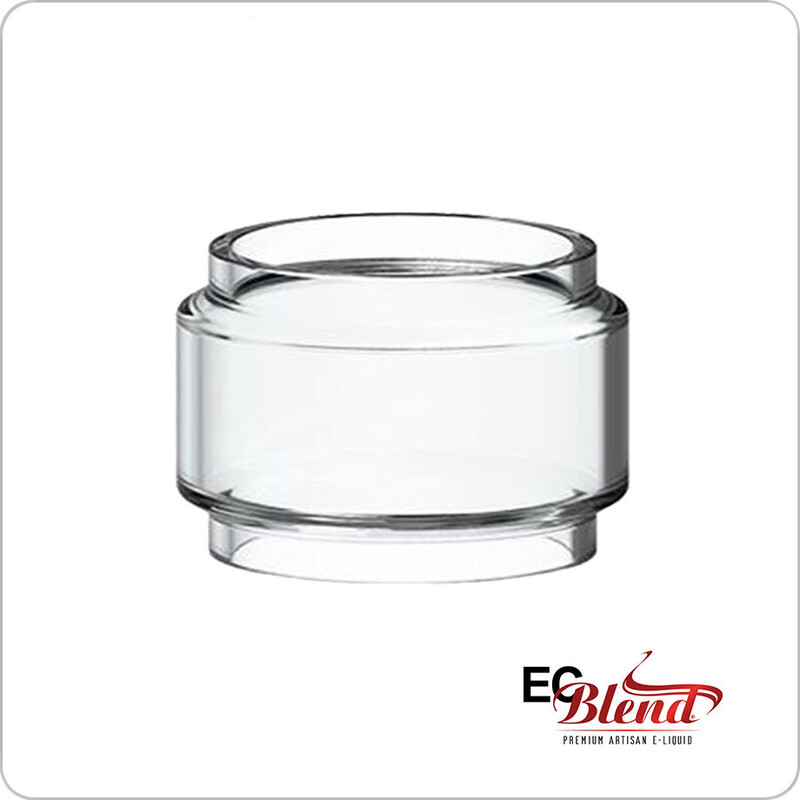 Replace your TFV12 Baby Prince tank with this Replacement Glass. It never hurts to have a backup either! Blitz Replacement Resin Tank 4.5mL kit for SMOKTech TFV12 Baby Prince. Bring new life and a fresh look to your TFV12 Baby Prince with a unique resin tank and matching wide bore drip tip. The Smoktech TFV12 Baby Prince is the upgraded version of the popular TFV12 baby beast. Now available with Mesh and Strip replacement coils that produce denser clouds and purer flavor at the same wattage. The GNOME King is a 26mm tank with 5.8mL E-Liquid capacity. The GNOME King atomizer utilizes the updated WM coils for intense flavor and makes a perfect combo with the Wismec RX GEN3 Dual in terms of appearance and performance. HiFlask is the first pod for all vapers which features an adjustable airflow system. Innovative JVUA (Juice Vertical & U Airflow) provides crisp flavor with exceptional vapor production. Perfect for both Mouth-To-Lung (MTL) and Direct-Lung (DL) users. Designed as a collaboration between Vandy Vape and VapingwithTwisted419, featuring a larger 7mL bubble glass tank, a greatly improved 6 terminal postless build deck, and an upgraded slide-out top fill system. Innokin is excited to offer you the SCION II, a tank that stays true to the original design while offering improvements in areas such as airflow control, parts interchangeability, aesthetics, and functionality. The Vaporesso Armour Pro 100W Starter Kit utilizes the advanced OMNI Board 4.0 chip set, providing serious power output with minimal ramp up time. Includes the Cascade Baby clearomizer with a 5mL E-Liquid capacity and the popular GT replacement coil heads. The ZEUS Dual RTA is an upgraded version of the original Zeus RTA, with the innovative leak-proof top airflow system, airflow transferring from the top to the bottom to maintain great flavor. It comes with upgraded postless build deck that allows for easy building for both single coil and dual coils. Introducing the Breeze 2, now with new features and a new pod style system. The same compact and ergonomic design with a more convenient pod system that holds 3mL of your favorite E-Liquid.